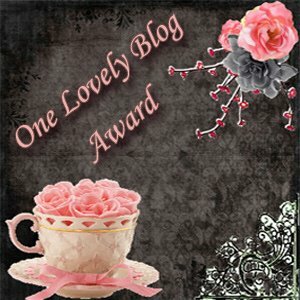 "My Blog just received the One Lovely Blog Award"
A million thanks to Jessie Dyan from Reader Between the Cover for passing this award to me alongwith 14 other bloggers. 2. Pass the award to 15 other blogs that you've newly discovered. Congratulations to the 15 lucky bloggers receiving this award from me! As a request, pass this award to 15 other bloggers not in this list.